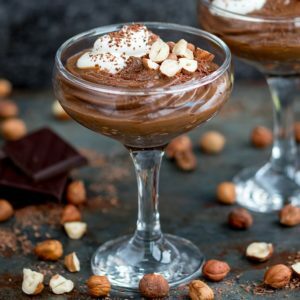 Hazelnut Mocha Chocolate Mousse – it’s actually pretty good for you! I wonder how many people will look at the pics and go ‘Mmmmmmm’. Only to read further, find out it’s made with avocado – and be instantly disgusted at the thought of avocado and chocolate. I mean, why do people do these things – use a natural, healthy ingredient and try to turn it into something that resembles junk food or ‘naughty’ food (erm, like my sweet n’ salty kale crisps). For me, it’s part experimentation, part curiosity (seen lots of avocado-choc-desserts on Pinterest), and part (ok, mostly) a huge pile of leftover avocados from another recipe experiment. That’s my excuse for this Mocha Avocado monstrosity anyway. A monstrosity that tastes flippin amazing btw. Yep, I might have turned my nose up when I first saw the chocolate avocado thing a few years ago. But I was wrong. It’s chocolatey, creamy and rich. 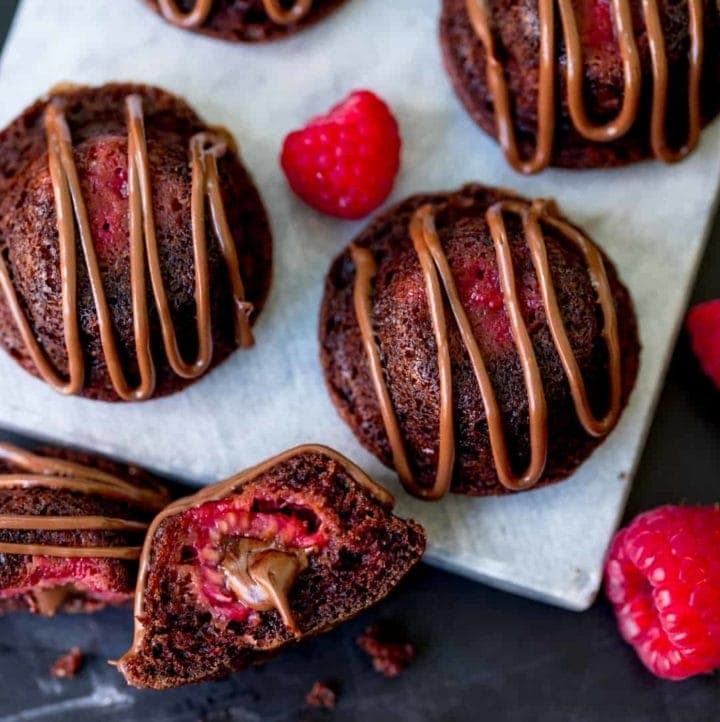 Plus you can alter the chocolate and sweetness level according to your own tastes (so that’s 1 tbsp cocoa powder if I’m having it for breakfast, and 3 tbsp I’m scoffing it in front of the TV in the evening). 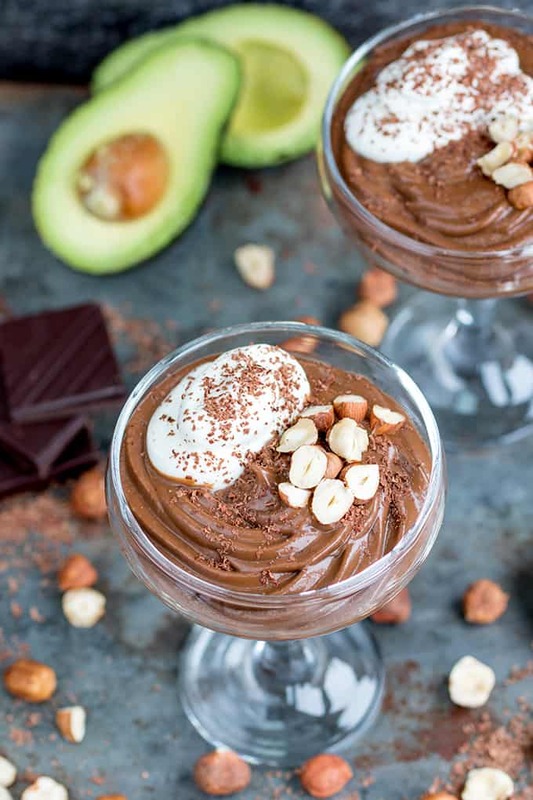 You can’t taste the avocado in the mousse, it just acts as a kind of creamy base that you can build up and add flavours to. The banana adds a good amount of sweetness, and the honey just takes it to the level that it feels like a dessert. 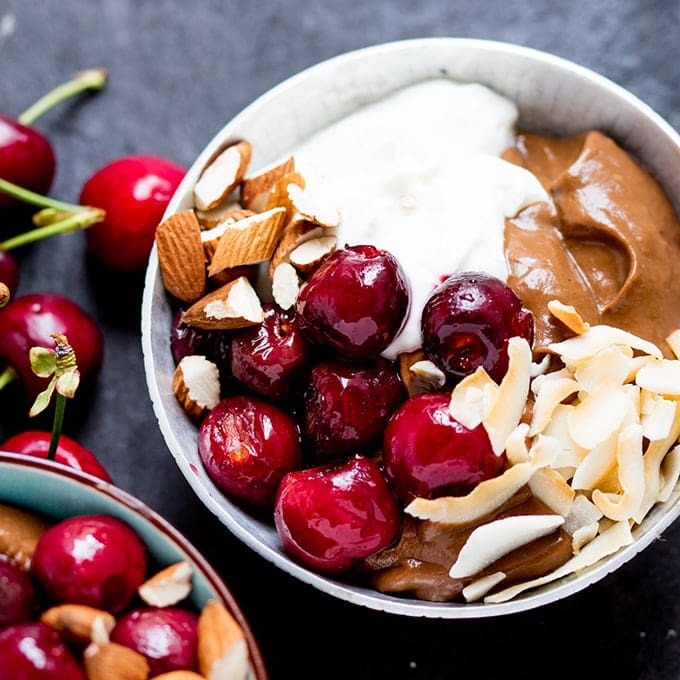 I made this Hazelnut Mocha Chocolate Mousse recipe a while back for Superfood magazine, so it’s more health-conscious than usual – with low-free Greek yoghurt and raw cacao powder – but you can use regular versions of both of those ingredients if you prefer. 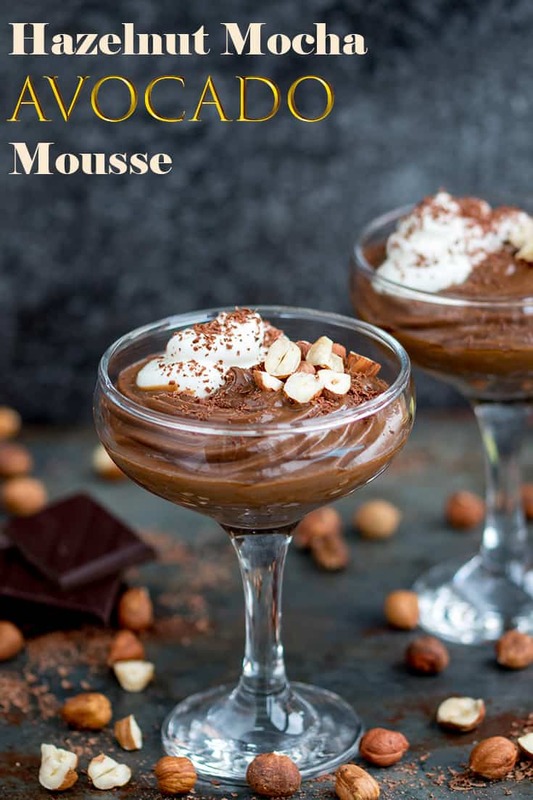 My mousse has the addition of coffee too – because I LOVE my coffee. Coffee and chocolate together? Yep, that makes me happy. I don’t like coffee things flavoured with chocolate (like chocolate syrup in coffee). It only works when it’s chocolate things flavoured with coffee (like cake, mousse, coffee revels etc). Is that weird? 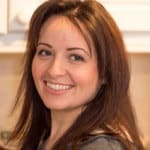 So now I’ve had my mind changed on the whole chocolate and avocado thing, am I wrong about other ‘naughty’ recipes made with so-called health foods? 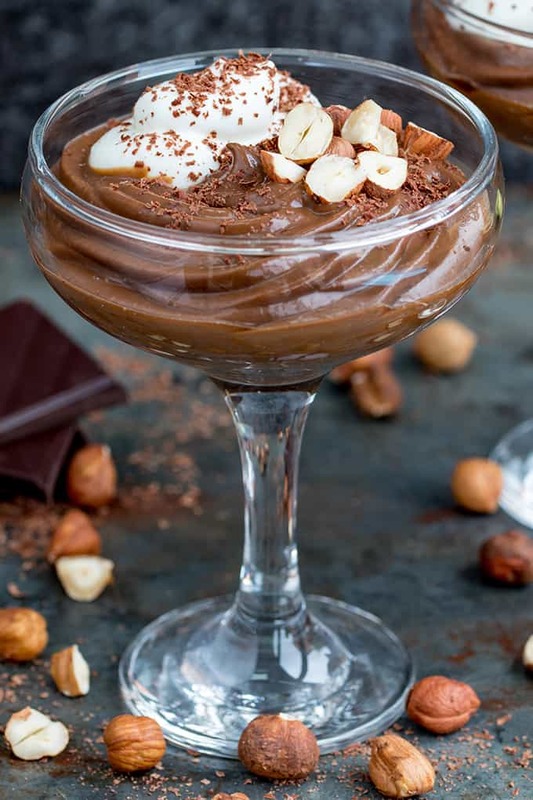 Hazelnut Mocha Chocolate Mousse - a gluten free, lighter dessert, made with avocado, Greek yogurt and banana. Creamy and sweet! Place the avocados, banana, hazelnut milk, vanilla bean paste, raw cacao, espresso and honey into a food processer. Blend until smooth and creamy. Spoon or pipe the mixture into serving glasses. You can cover and chill at this point if making ahead. 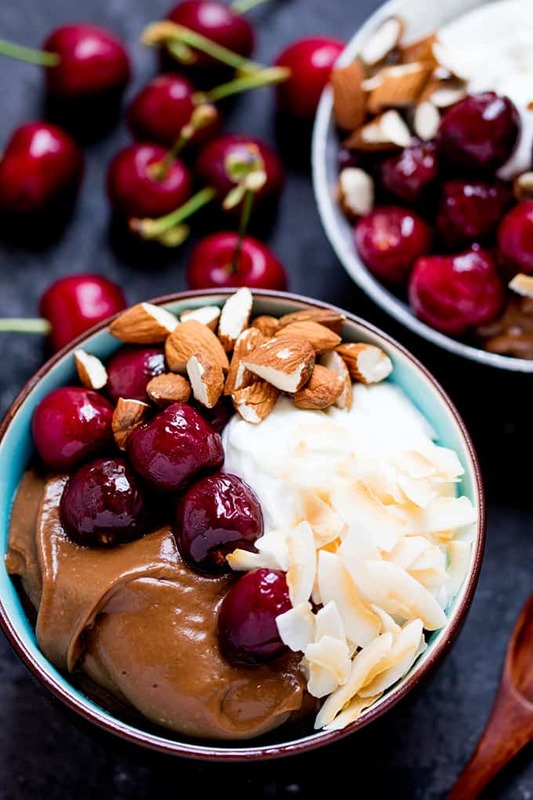 When ready to serve, top the mousse with the Greek yogurt, and sprinkle on the chopped hazelnuts. Sprinkle on the grated chocolate and serve immediately. *The more ripe the banana and avocados are, the sweeter and creamier this dessert will be. Nutritional Information is per serving, based on getting 2 large servings. As a confirmed chocoholic and lover of avocados I had to try this recipe and you are correct it is flippin amazing. I love avocados and I prefer to have them less ripe when I make deserts and ripe when I use them in savory dishes. 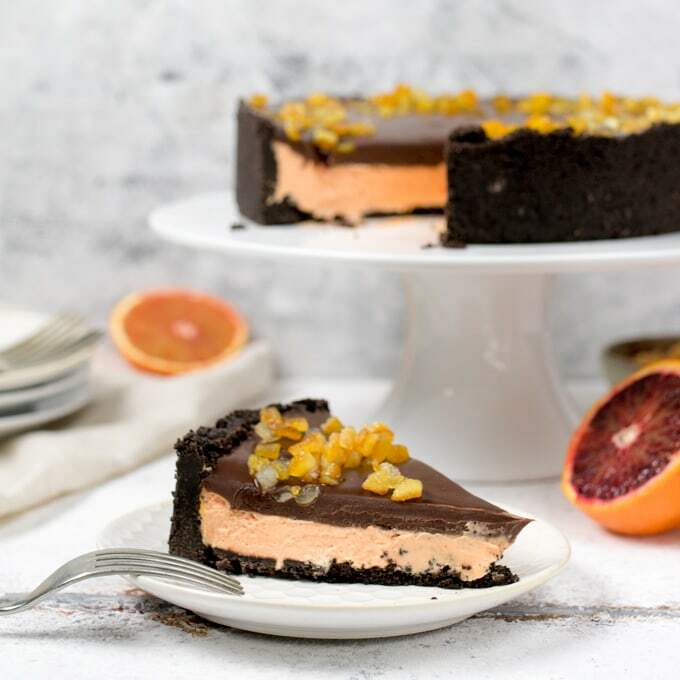 What threw me off and will probably omit is the yogurt because it is the only ingredient that makes this wonderful recipe non vegan. Gotta say the avocado kinda scared me – I like individually just never thought of it going well with chocolate. 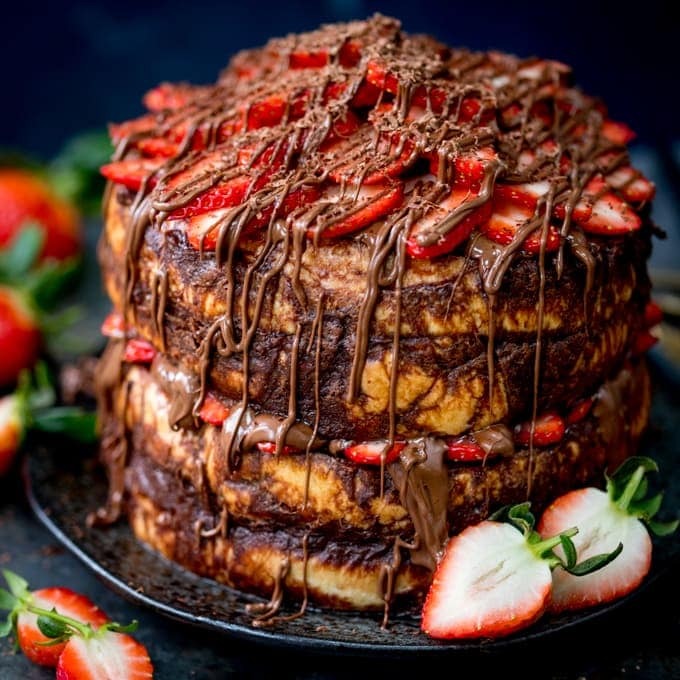 But you saying it’s great and looking at these images… I trust that it’s delicious!